Rocks Brewing’s second release of 2016 is the result of a meeting of minds. Apparently inspired by one brewer’s trip to the hop lover’s paradise that is the West Coast of the USA and another brewer’s trip to the holy land of beer, Belgium, their ideas met in the middle and settled on a white IPA. The style (and some will argue it isn't one) is fairly uncommon in Australia and sits in the area where the hoppiness of an American IPA gets crossed with the wheat and spice characters of a Belgian witbier. And here Rocks has pretty well nailed that down. The hops provide the upfront hit, first on the nose where the passionfruit character of Galaxy hops does its job, then on an oily palate where Centennial hops hit you hard with citrus flavours before the classic Saaz hops come along to add earthy, herbal notes. Mixing the right herbs and spices in anything generally tends to be a winning combo and it is so here when the natural spiciness of the Trappist yeast gets boosted by the coriander that was added to the whirlpool. Together they leave a beer that errs towards having a dry rather than overly bitter finish – that despite the beer coming in at a healthy 60 IBUs. 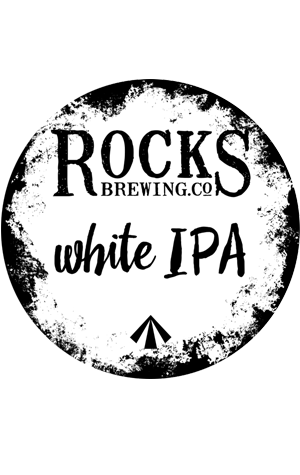 Rocks' White IPA is an interesting beer that’s slightly difficult to get a good handle on, seemingly changing its point of emphasis each time you have a sip. And, at a shade under seven percent ABV, it’s probably one you should sip, despite how quickly and easily a pint might slip away.